An afternoon of presentations and discussions, selected from an open call, examines recent research and critical issues around contemporary drawing. This session of the Drawing Research Forum will feature presentations and a plenary discussion with artists examining diverse themes, and utilising and developing current discourse around contemporary drawing. The Drawing Research Forum provides a space for knowledge exchange between disciplines, encourages cross-fertilization of ideas and methodology, and fosters collaborations between artists and researchers. Ana Mendes is a visual artist and writer, based in London. She studied Performance at Goldsmiths College, University of London, Animation Film in France, and Communication Sciences in Portugal. Recent solo exhibitions include Platform Arts, Belfast, UK, 2018; Natural History Museum, Vienna, Austria, 2017; Linden Museum, Stuttgart, Germany, 2017; Akademie Schloss Solitude, Stuttgart, Germany, 2017; and Universalmuseum Joanneum/Natural History Museum, Graz, Austria, 2017. Awards for work in photography, video, literature and performance, including the Frieze Artist Award NY 2018, shortlist; Jerwood Drawing Prize 2017, second prize-winner; MAC International Ulster Bank Prize 2016, finalist, UK. 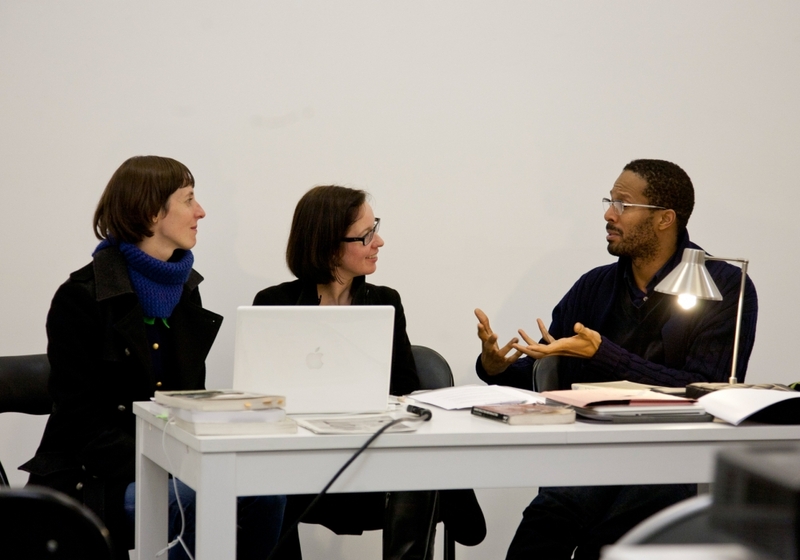 Fellowships and residencies, include: IASPIS artist in residence (2016); Akademie Schloss Solitude, Stuttgart, Germany (2016/17); Artist in Residence, Kunsthalle Krems, Austria, 2017; and Calouste Gulbenkian Foundation, Lisbon, Portugal, 2010/11, 2013 and 2016. Dr Christian Mieves is an artist and is Senior Lecturer at Wolverhampton School of Art, UK. Research themes in Mieves’ work to date have included the beach and other border spaces as metaphors for semantically uncertain fields. Recent publications include journal articles on David Schutter, Luc Tuymans, Dana Schutz and Peter Doig. He has been co-editor of the special edition of the Journal of Visual Art Practice (2010 and 2018). He is also co-editor of the book 'Wonder in Contemporary Artistic Practice' (Routledge, 2017) and a recently published interview with artist David Schutter (Journal of Contemporary Painting, 2018, 4:2). Christina Riant is an artist, based in London. She studied Drawing at Camberwell College of Arts, University of Arts London. Riant's practice mostly revolves around researching the common ground between personal, systematic and scientific work. Because of an information technology background and fascination with mathematics and algorithms, her work appropriates intimate memories of home, family and tradition through seemingly impersonal and rigid mediums, such as programming and Euclidean geometry. Her work uses a variety of materials, from charcoal and sharpies to more unconventional items, such as baking paper, coffee, paper towels and car carpet. Taking materials that normally have a specific role in the domestic space, Riant alters their utilitarian purpose. Her work includes site-specific installations, intaglio prints and digital pieces. Halisson Silva is a PhD Candidate in Contemporary Art at the University of Coimbra, in Portugal, with a MA in Communication by State University of Londrina (UEL, Brazil) and BA in Visual Arts by University Centre of Maringá (Cesumar, Brazil). Exhibitions include 'Parede Social/Social Wall', DaP, Londrina, Brazil; 'Erre melhor/Fail Better', UEM, Maringá, Brazil; 'O Descobrimento de Américo/The Discover of Américo', Atari, Maringá, Brazil; 'Caderno de Artista/Artist’s Notebook', Sala46, Maringá, Brazil; 'Ensaio para Recital Scherzo/Essay for the Scherzo Recital', Sala46, Maringá, Brazil; 'Tomás', Colégio das Artes, Coimbra Portugal; 'NÃO ALIMENTE O ARTISTA', Paratissima, Lisboa, Portugal; 'Isto não é para Gente Feliz/This is not for Happy People', CITAC, Coimbra, Portugal; 'Outubro em Novembro/October in November', Colégio das Artes, Coimbra, Portugal; 'This Machine Kills', Quarto 22, Coimbra, Portugal. Amber Stucke is an interdisciplinary artist based in Los Angeles, California. She identifies her work within ideas of social relationships situated between artistic research, science and imagination. Through materials of sound and language, performance, installations, embodied and appropriated drawings, scientific prints and DIY artist books, her research interests include questions of symbiotic and rhizomatic relationships, Native American ethnobotany, local knowledge systems, plant-human relationships, evolutionary biology, consciousness, and the appropriation of visual scientific classification structures. Stucke holds a Master of Fine Arts degree from the California College of the Arts in San Francisco and has studied at Goldsmith’s College, London and The School of the Art Institute of Chicago. Exhibitions include those held at Satellite Berlin, Berlin, Germany; BAK, Utrecht, Netherlands; University of Oporto, Oporto, Portugal; Cain Schulte Contemporary Art, San Francisco, CA; and Zacatecas Cultural Center (Zacatecas, Mexico). She is a recipient of the 2016/2017 Curtis Gates Lloyd Research Fellowship at the Lloyd Library & Museum.